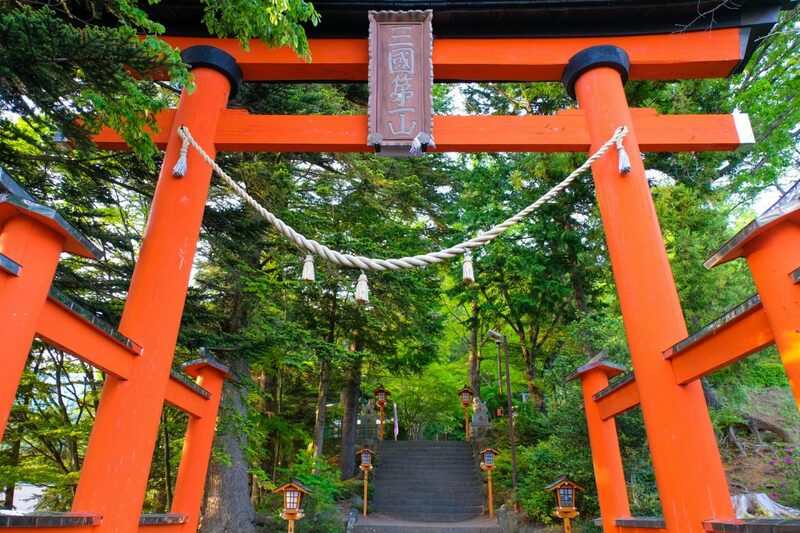 A few hours away from Tokyo you can find the enchanting Fujikawaguchiko. 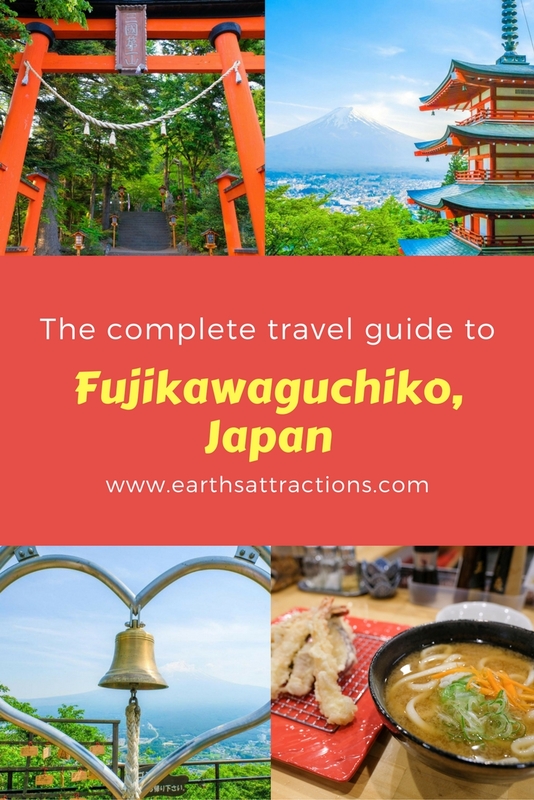 Here’s the complete travel guide to Fujikawaguchiko, Japan written by someone who loves this place: Jasmine from My Suitcase Journeys. 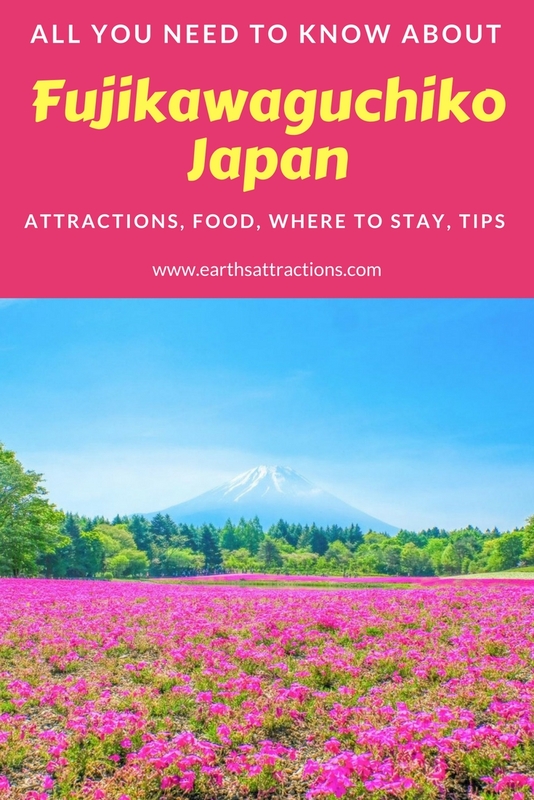 This ultimate guide includes everything you need to know about Fujikawaguchiko,Yamanashi, Japan: top attractions in Fujikawaguchiko, off the beaten path things to see and do in Fujikawaguchiko, where to eat, where to stay, and valuable tips for Fujikawaguchiko. 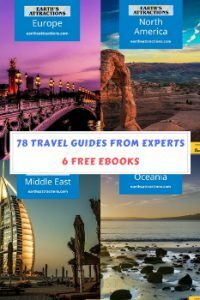 This guide is part of our free travel guides series on this blog. 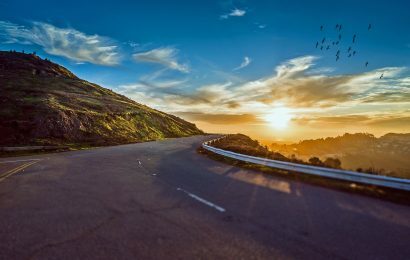 Use it when planning your next trip in the area! 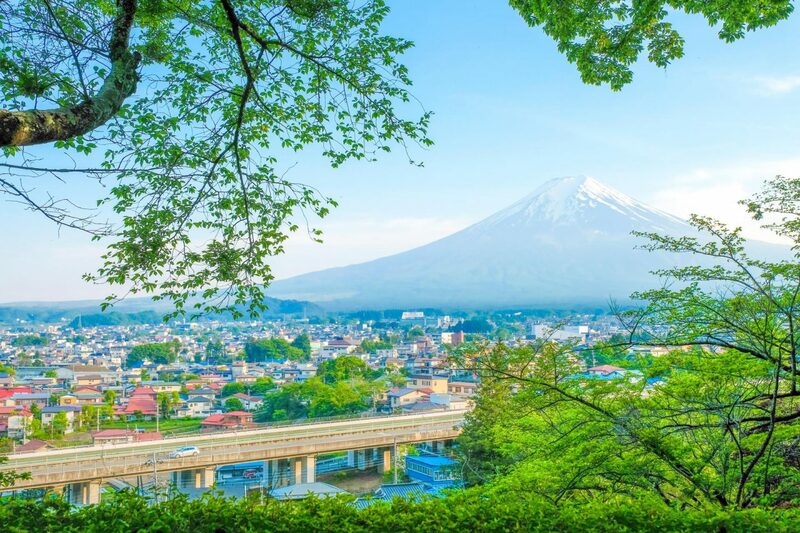 Located just at the foot of Mount Fuji, Fujikawaguchiko is a beautiful little town in Yamanashi, Japan beloved by both tourists and locals alike. Although the Lake Kawaguchi area had been inhabited since the Jomon period (14,000 – 300 BC), Fujikawaguchiko was not formed until November 15th, 2003 as a merger of the town of Kawaguchiko and two other villages: Katsuyama and Ashiwada. Three years later, it continued to grow and absorbed parts of the Kamikuishiki village on March 1st, 2006. As of November 1st, 2015, the town has been reported to have a total population of 25,743. You can imagine that’s quite astonishing considering how small of an island Japan is! It even has the name Fuji in it. You can’t visit Fujikawaguchiko and not see Mt. Fuji. 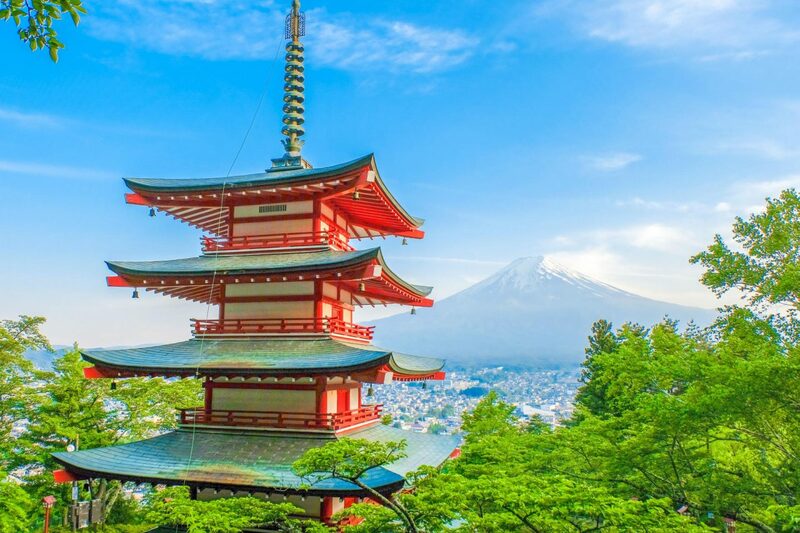 The best spot to view its majestic charms is no doubt at the Chureito Pagoda at Arakura Sengen Shrine. 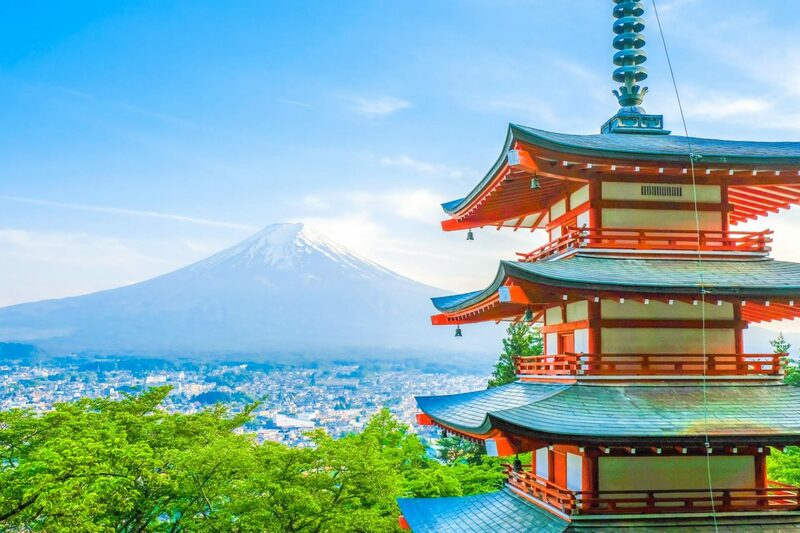 There are approximately 400 steps leading up to the pagoda but it’s not too difficult of a hike and you will surely be rewarded for your effort. Tip: Visit during the month of April and witness the beauty of the cherry blossoms in full bloom! 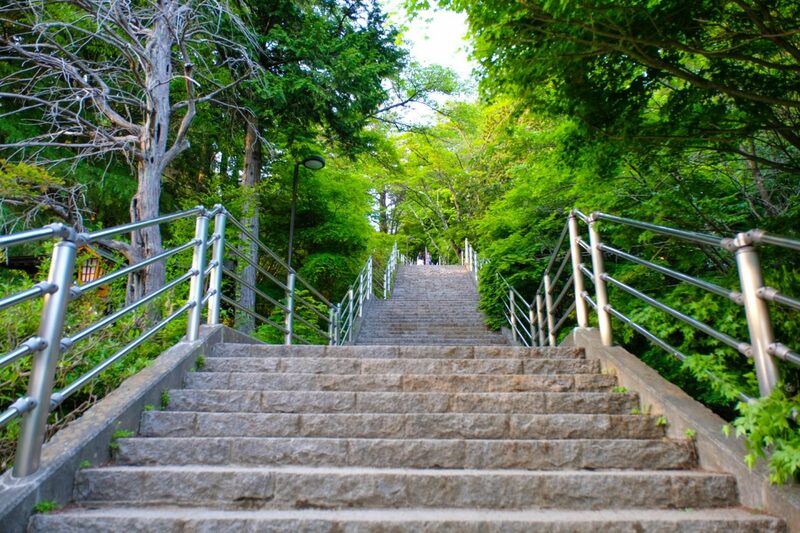 Aside from getting drenched in sweat from climbing all those steps, you could easily take the Mt. Kachi Kachi Ropeway to Mount Tenjo’s observation deck for an alternative panoramic view of the mountain. Atop the 400-meter ropeway lies the Bell of Tenjo (Bell of the Sky). 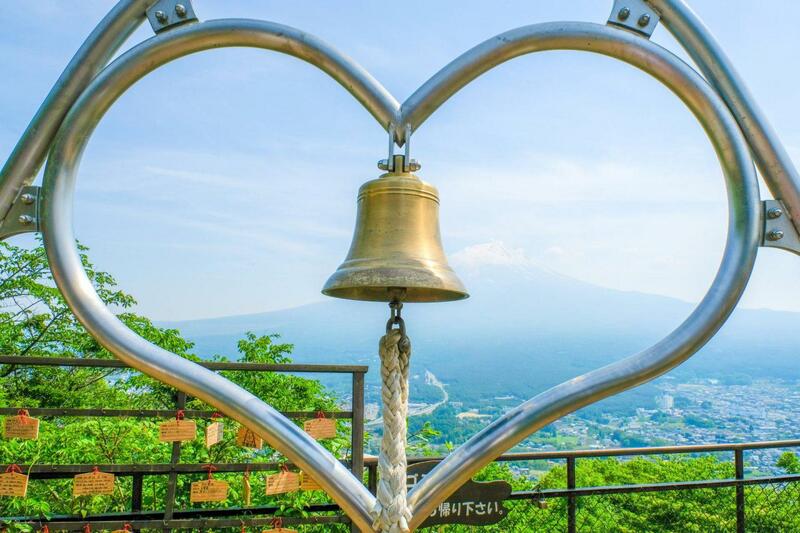 It is believed that if you ring the bell whilst facing Mt. Fuji, your wish will come true. Be sure to give it a try when you visit. Another sight worth checking out is the annual Fuji Shibazakura Festival that takes place mid-April to the end of May. 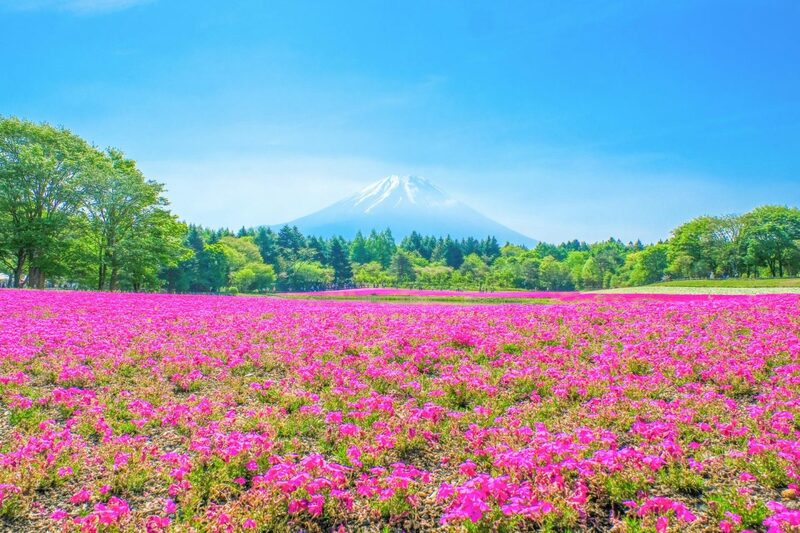 Every year visitors gather to witness the blooming of approximately 800,000 shibazakuras (moss phlox or pink moss). Definitely a spectacle not to be missed! If you are more of an adrenaline junkie and none of the suggestions so far have fueled your enthusiasm, Fuji-Q Highland is the spot for you. 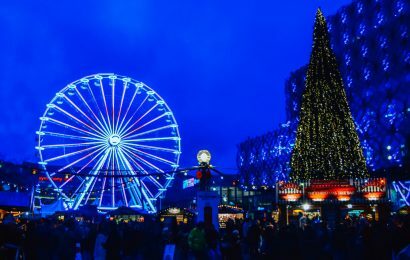 Known to comprise what used to be the world’s tallest and fastest roller coasters, this is a fun alternative to viewing Mt. Fuji. Yes, that’s right. You can see Mt. Fuji from the roller coaster! 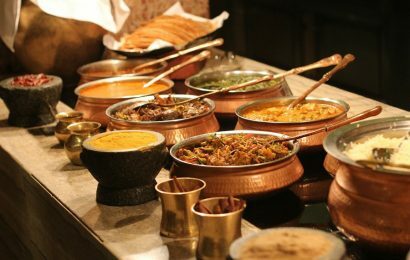 The above were four different recommendations on where to view Mt. Fuji, but another popular point of interest in Fujikawaguchiko is the Fuji Five Lakes. Fuji Five Lakes is the name of the area at the base of Mount Fuji and it is also a collective of five lakes formed by previous eruptions of Mt. Fuji. 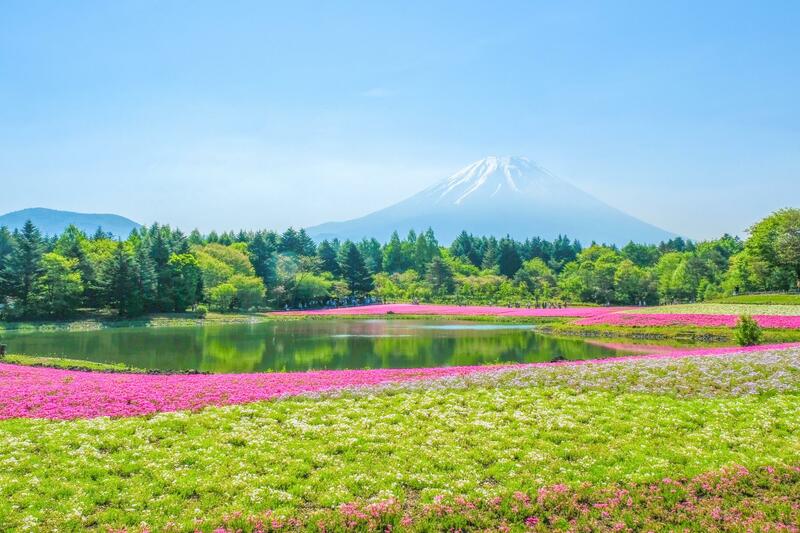 Even though it is not the biggest of the five, Lake Kawaguchi is the most well-known and the one most often seen in TV ads and posters at local tour agencies. 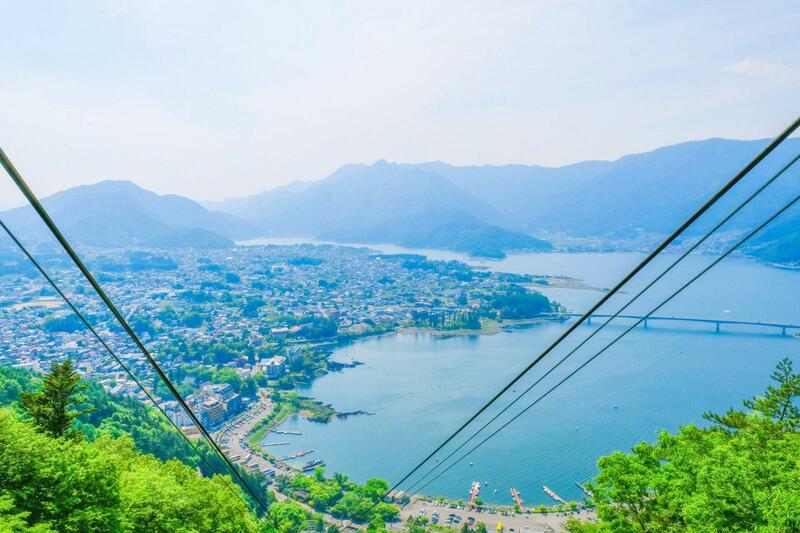 To get a good view of Lake Kawaguchi, come down to Kawaguchiko Natural Living Center. 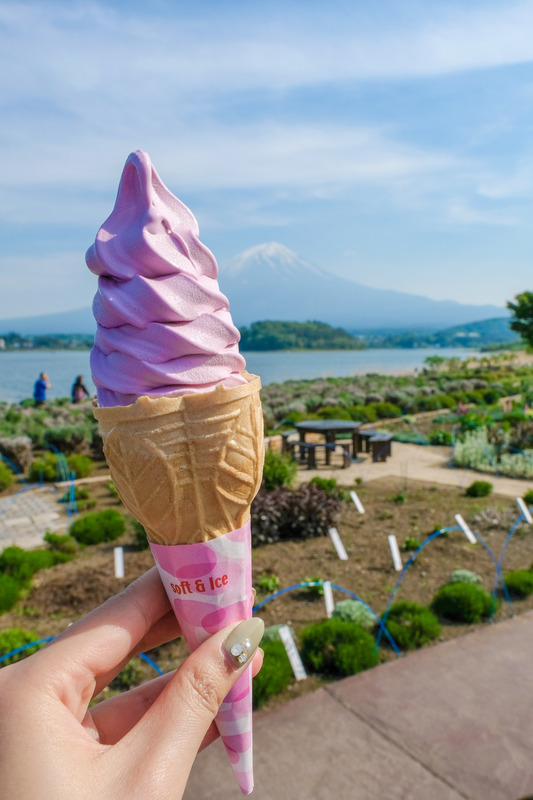 Order a lavender ice cream cone and enjoy it by the lake. Serene and surreal. 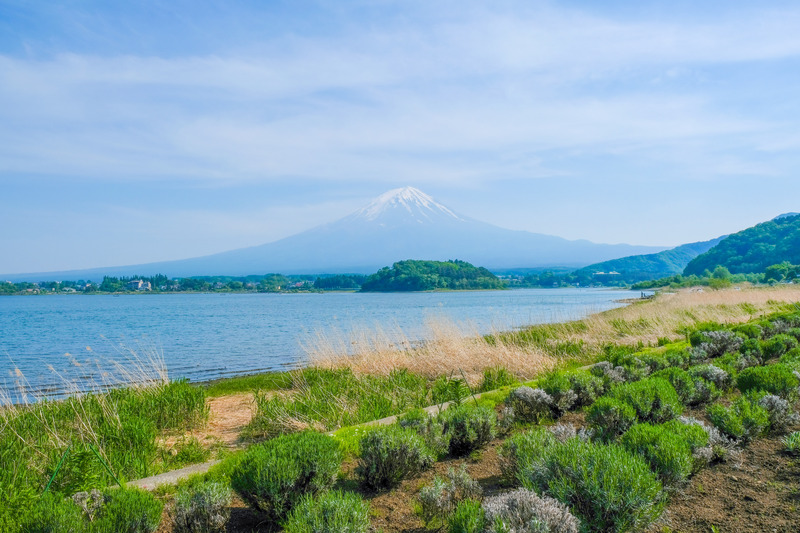 Explore the rest of Fuji Five Lakes. Lake Yamanaka is the largest of the five. Lake Motosu, at 140 meters, is the 9th deepest lake of Japan. Lake Sai shares banks with the infamous Aokigahara Jukai Forest (Suicide Forest). Lastly, Lake Shoji is the smallest where locals come to fish. Take a trip down memory lane at Kawaguchiko Music Forest – a European-inspired theme park and museum for music. Frolic in the lavender fields of Yagizaki Park. See the Fugaku Wind Cave that was formed by volcanic eruptions. Explore Saiko Bat Cave and observe its majestic lava formations. Houtou Fudou Kitahonten. 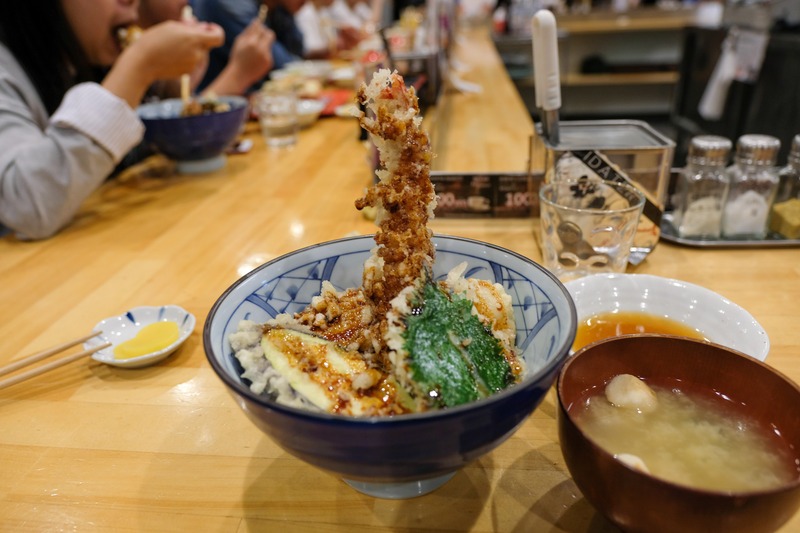 Houtou fudou is a vegetarian noodle dish specific to the Fuji Five Lakes region. For the brave soul, try a side order of raw horse meat (basahi). Sanrokuen – traditional Japanese barbecue. Be prepared to sit on hardwood floors with your legs crossed. 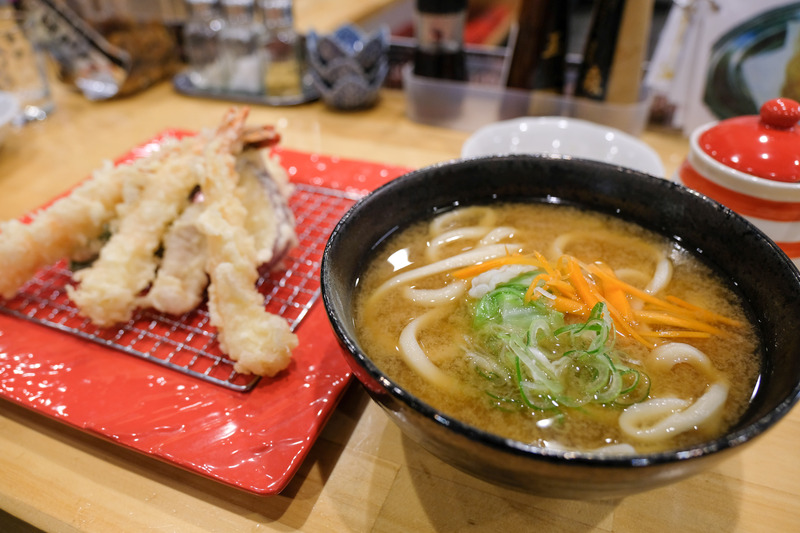 Fuji Tempura Idaten – amazing seafood tempura and super chewy udon noodles! Mt.FUJI BASE – cool little bar to hang out with friends at night. Awesome food too but the owner works by himself so expect a bit of a wait. At the end of a busy day, the best way to relax is with a warm cup of sake in a soothing onsen hot spring bath. No better place for that than at the Hotel Mystays Fuji Onsen Resort where you get an unparalleled view of Fuji-san. Besides its phenomenal views of Mt. Fuji. It is also perfect for families or large groups of friends traveling together, as they provide triple bed and quadruple bed suites. Definitely a fantastic choice although a little bit on the expensive side. 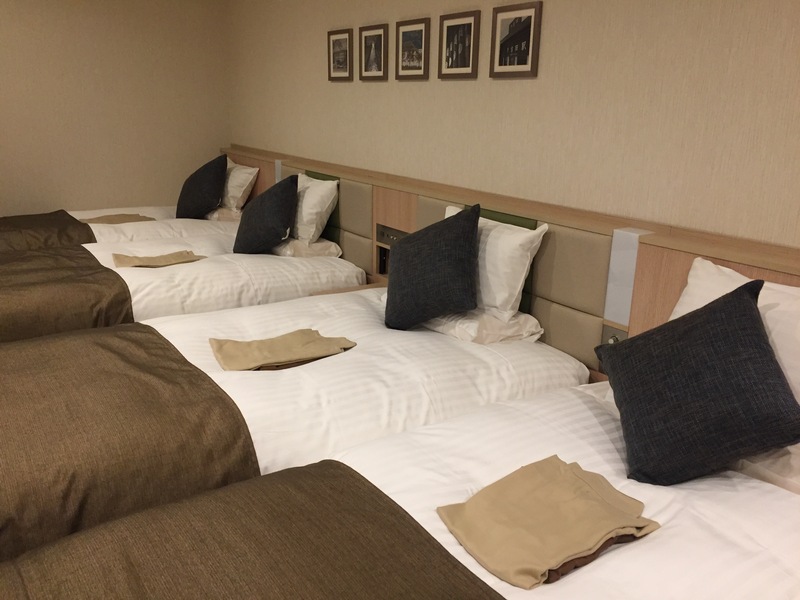 Another option that is more budget friendly is the Royal Hotel Kawaguchiko. It is great for experiencing traditional Japanese futon beds and despite not having much of a view, its onsen baths are still quite therapeutic and relaxing. 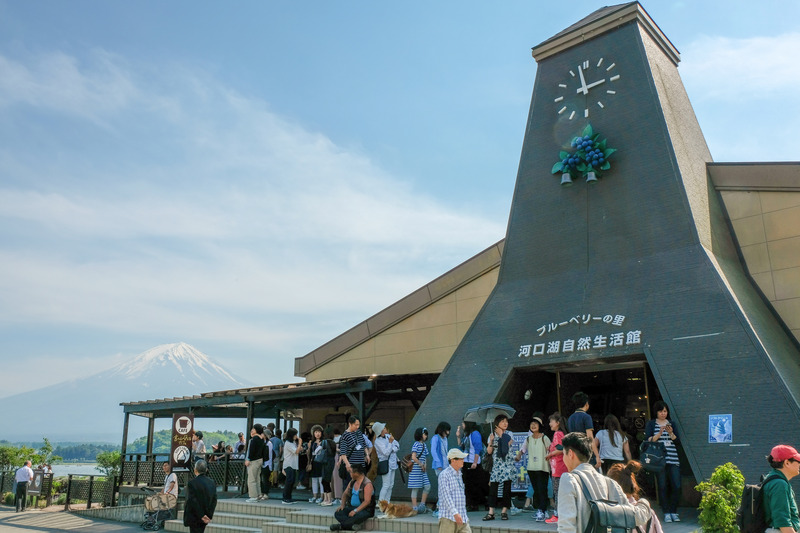 Fujikawaguchiko is only a few hours away from Tokyo, but it’s not exactly easily accessible. The main/terminus station in Fujiyoshida is called Kawaguchiko Station. Busses coming in from Tokyo will stop here. 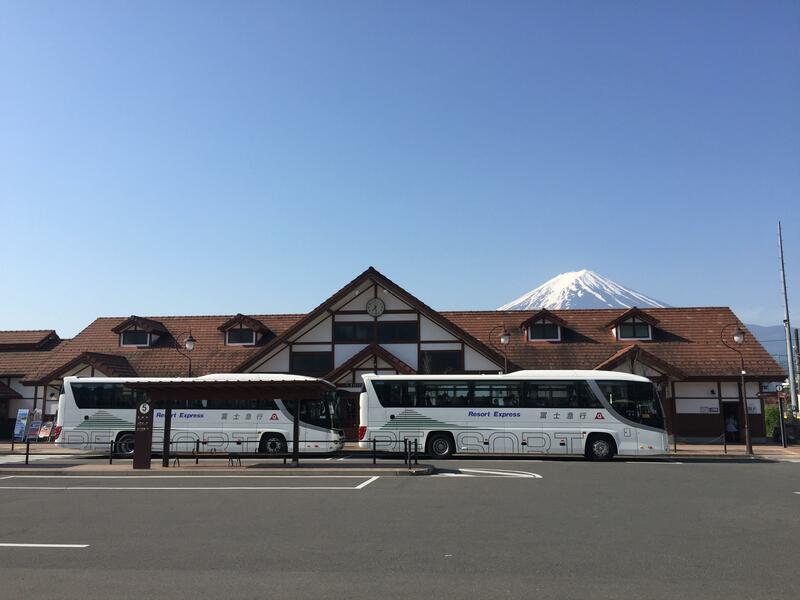 This is also where you take the sightseeing buses to Fuji Shibazakura Festival and the other attraction sights mentioned above. There are a few different sightseeing buses and routes but no matter which you pick, purchase the all-day bus pass. That way you can hop on and off the bus at any stop and really explore the town’s hidden gems. The town may be small, but there are endless activities and things to see here. 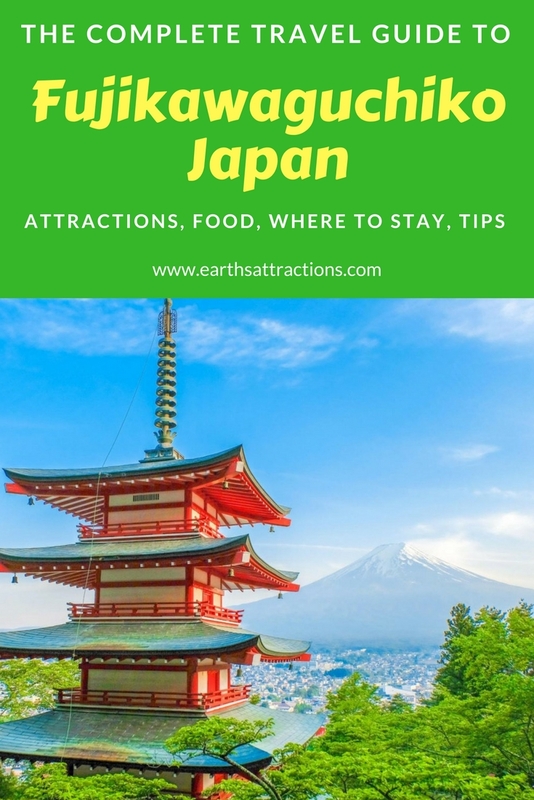 Most certainly a great getaway destination to escape the bustling streets of Tokyo and is bucket list worthy for sure. Born in Taipei, Taiwan but having moved to Vancouver, Canada at the age of 9, Jasmine is a weekend traveller who has travelled to 10 countries so far all whilst maintaining a full-time job. Follow her travels on her blog, My Suitcase Journeys, and on Facebook and instagram.